If your house is like mine, slime, making slime, and playing with slime is a daily activity and conversation piece. Slime is all the rage right now in the school-aged kids. So, you might be like me and wonder what to do with those six batches of slime that are sitting around the house. Why not use slime to work on scissor skills? It's a nice texture for practicing scissor use and teaching kids how to snip with scissors. 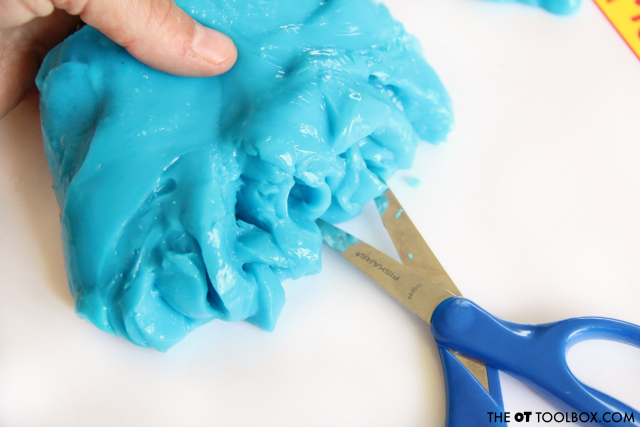 We shared fun ways to use slime for fine motor skills and adding scissors to the mix is one more way to use that slime! First, you'll need a batch of slime. Here are directions to make slime. 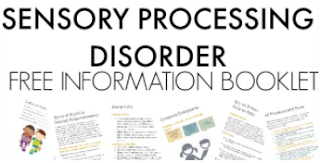 Be sure to use caution with ingredients and research the best options for your family. Some recipes can cause inflammation to the hands. Next, pull out your scissors. When teaching kids to use scissors, you'll want a great pair that helps with scissor control and positioning. These are my favorite type of scissors as a therapist. 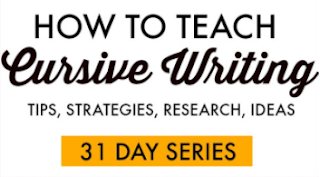 To work on scissor skills, you'll need to have an understanding of how scissor skills develop. 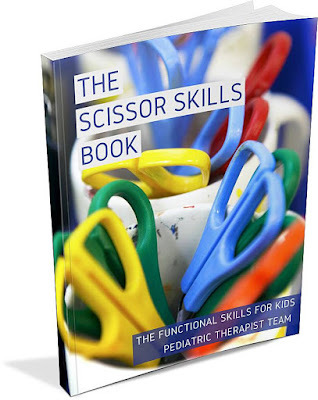 The new book by the Functional Skills for Kids therapy team is an excellent resource for promoting healthy development of scissor skills. Grab your copy of The Scissor Skills Book today. Bilateral coordination to hold the slime with one hand while cutting it with another. Cut snips into a lump of slime. Roll a band of slime and cut one snip across. Pull the slime into a thin sheet. Cut across the slime with forward motions. Create a wide band of slime. 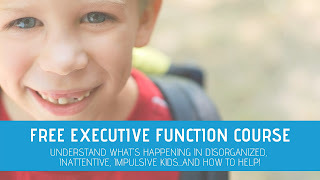 Cut lengthwise down the slime, promoting bilateral coordination and forward cutting motions. 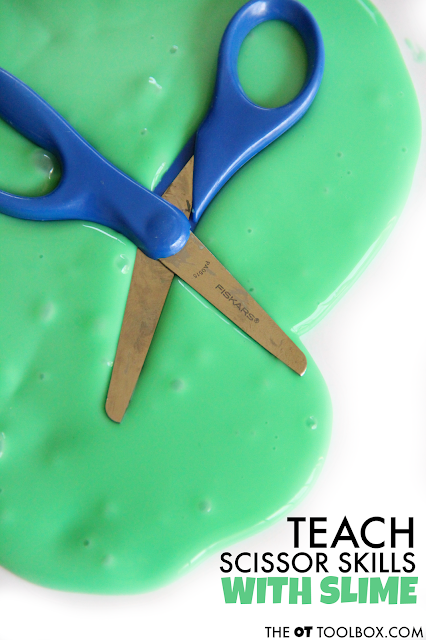 Related read: Use this scented scissor skills activity to help kids learn graded scissor use in a fun way! 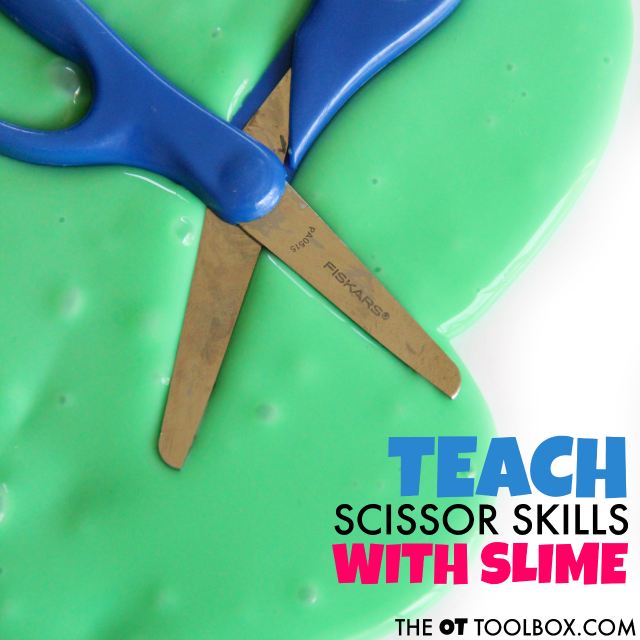 Another fun way to use slime to address scissor skills is to place the scissors right in the slime. use both hands to pull the slime from the loops. How would you use slime to work on scissor skills? 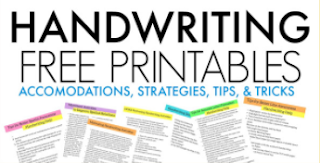 For more fine motor fun using slime, try this Slime writing tray.